In the spring, my yard cycles through color schemes before settling down into a more varied palate (if that can be called “settled!”). Right now it’s in its “pink” phase. 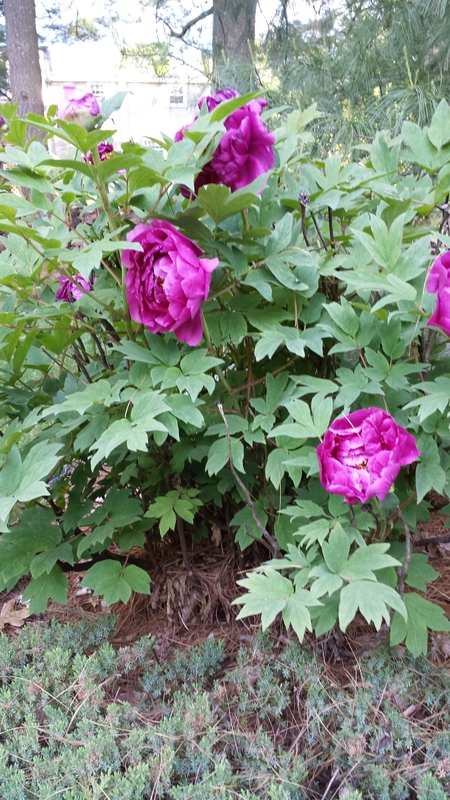 This is a Chinese tree peony, although “tree” is really a generous term. It’s really just a shrub. And it’s also a sort of a waste of a plant–it only blooms for 2-3 days at best before the blooms fade, even in cooler weather. These plants are all over my yard. This clump self sowed from the “mother” clump that’s at least 15 feet away. The larger clump is now at least 5′ wide–and a portion has reverted to white! This is a reliable early shade bloomer–its only problem is that it goes dormant by mid-summer, even in my heavy wet clay. I always wind up having to cut down the yellowing stalks and that leaves me with big holes in the garden. 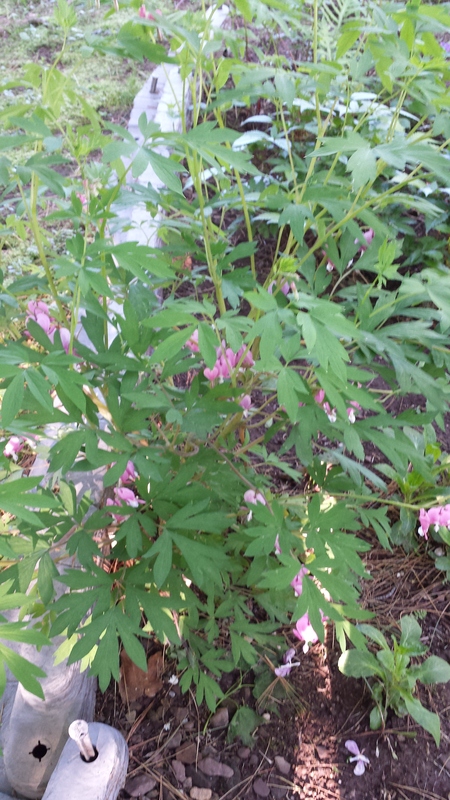 This is the old fashioned bleeding heart, dicentra spectabilis. There are others, like the fern leaf bleeding heart, dicentra eximia. Even Dutchman’s breeches, the wildflower, is a form of dicentra. This bright pink rhodie is just opening. 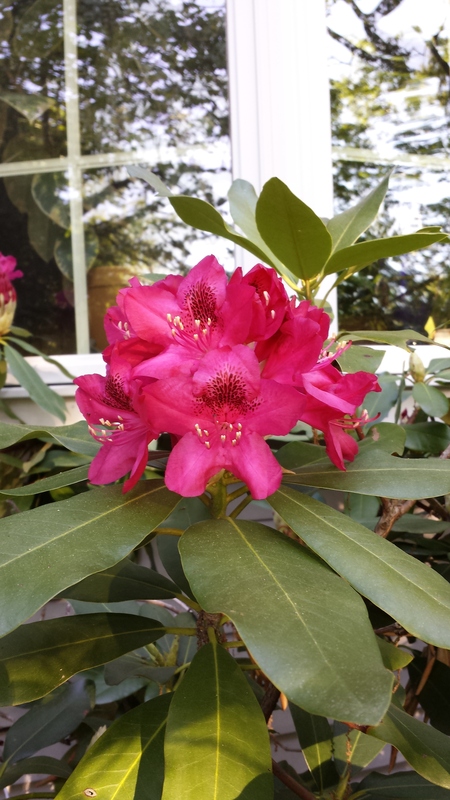 I don’t know the cultivar–it was here when I “married” the house. 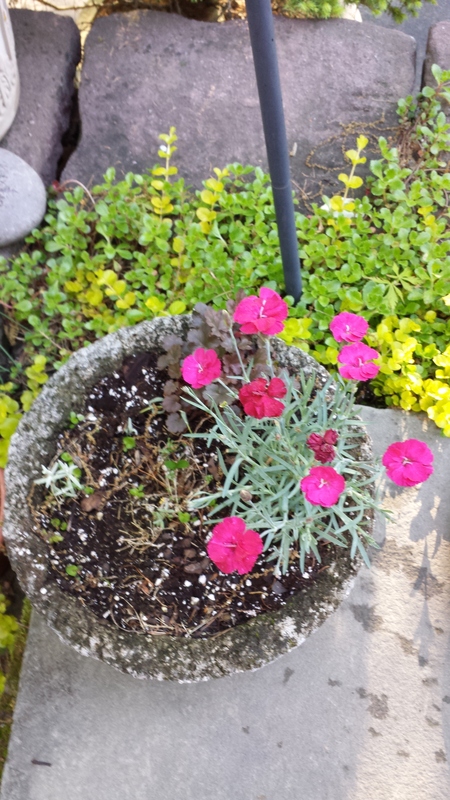 And this is a new clump of dianthus (or pinks, as they are sometimes called) I added into this trough. The existing one didn’t survive the polar vortex. 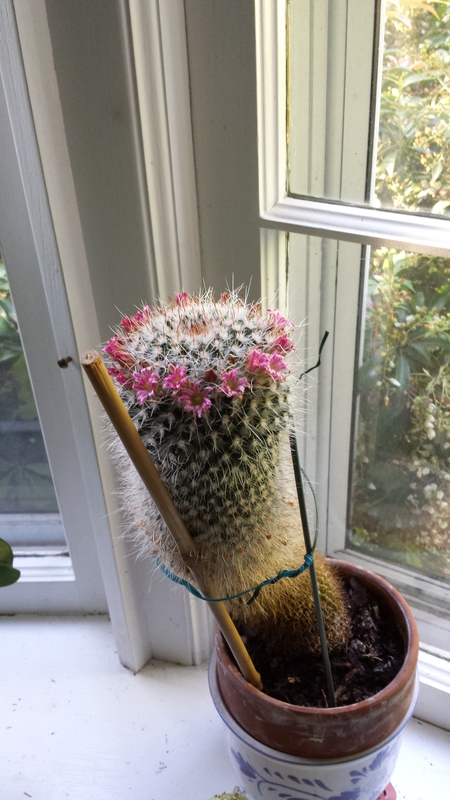 Finally, even the house plants are cooperating in the “pink” theme, although I haven’t seen my cactus bloom quite this beautifully in some time. It must be that fabulous new Biosafe plant food.